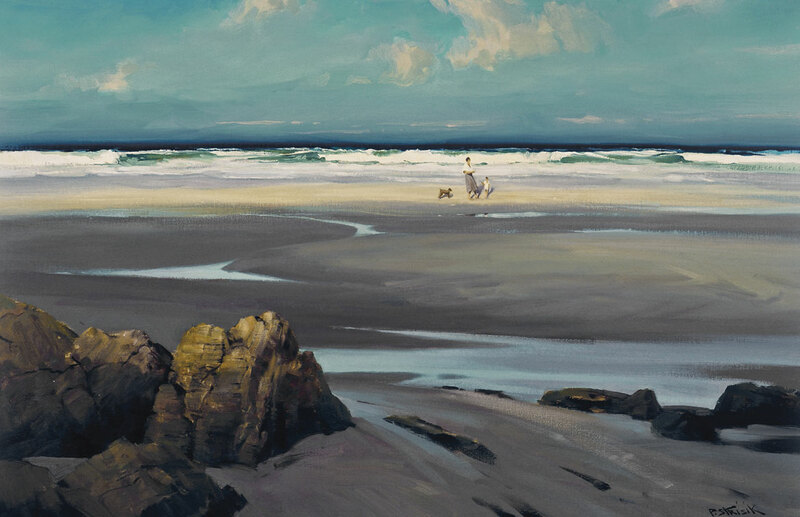 American Art, New England Artists - Paul Strisik, N.A. The Paul Strisik Gallery closed its doors in September, 2014. It had been a landmark in Rockport MA for 60 years. Now Paul’s wife Nancy Strisik is making Paul’s artwork available to the public. Contact us to discuss the availability of these paintings and more. Please note: Due to the differences in computer monitors and calibration, the colors in the paintings shown on this site may not appear accurate. As a general rule, the colors are deeper and richer than they appear. If you are interested in a particular painting, please contact us for more information. Thank you.